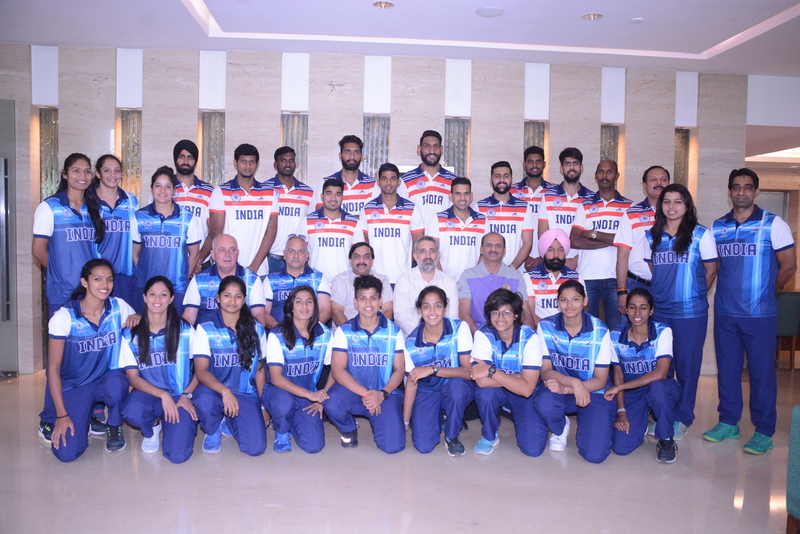 Bengaluru, 5th April 2018: The Indian Basketball campaign at the Gold Coast 2018 Commonwealth Games started off with two back to back losses. Indian Women’s Team lost 57- 66 to Jamaica in a very competitive game while the men’s team lost 87- 96 to Cameroon in a game where Cameroon made an unbelievable comeback and took the game away from India’s hands. India’s campaign started with the women’s team taking on Jamaica and the game started with a very competitive first quarter with Jamaica leading India by only 2 points. Jamaica had an early lead but thanks to 3 consecutive three-pointers by Indian captain Shireen Limaye, India got back into the game. The following quarters continued the same theme as India displayed some beautiful ball movement which helped them keep up with Jamaica’s Jennifer George who ended up scoring 19 points along with 19 rebounds. The last quarter started with India trailing by 5 points, but due to consecutive turnovers by the Indian team, Jamaica managed to secure an 11-point lead midway through the fourth quarter. India pushed hard on defense but wasn’t able to score on the turnovers of the Jamaican team in the final minutes of the game. Captain Shireen Limaye led the Indian team with 18 points whereas forward Jeena Scaria added 12 points. Next, the Indian Men’s Team started their game against Cameroon on a high, taking a 12-point lead in the first quarter of the game due to its exceptional three-point shooting performance in the first quarter. The second quarter of the game saw India dominate Cameroon with the help of forward Amjyot Singh Gill who showcased his offensive expertise and created a 24 point lead going into half time. The second half of the game was completely different as Cameroon’s Arnold Kome lead his team to an unexpected comeback cutting down the lead to 12 points at the beginning of the fourth quarter. Cameroon continued on their impressive offensive run as India was unable to convert on their attempts in the fourth quarter and ended the game with a loss. India surely missed one of their biggest stars Amritpal Singh who didn’t play due to a left knee injury that he suffered during the practice sessions.